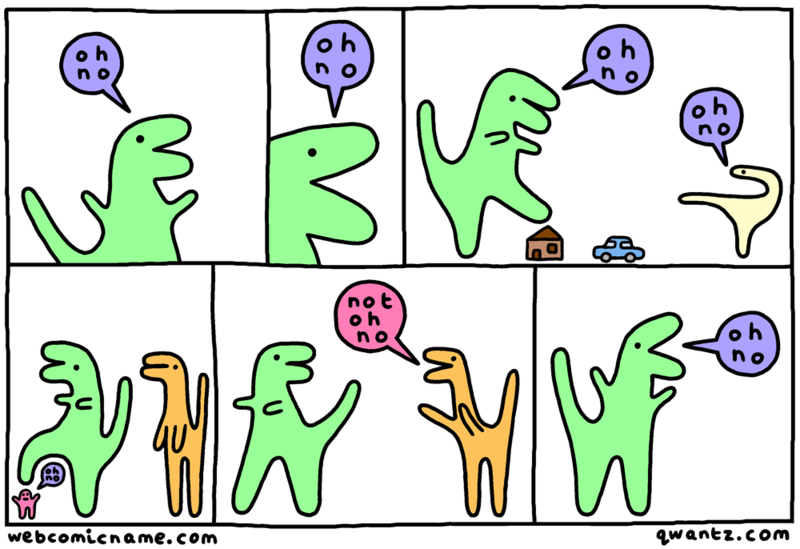 Dinosaur Comics - March 20th, 2019 - awesome fun times! –Hummingbirds: the MOST BADASS ANIMAL?? special guest comic by Alex Norris of Webcomic Name! March 20th, 2019: I've had some minor hand surgery this week, so to, uh, celebrate (?) that and give my hand a break: here is a guest comic!! It is by the incredible Alex Norris of Webcomic Name and I hope you will like it. I will give you three guesses as to what two-word phrase Alex said when I contacted them and told them my hand was out of commission.